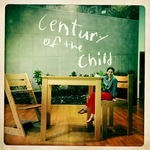 The greatest version of the greatest high chair in the world is for sale. Proceeds will go to charity. You should buy it. 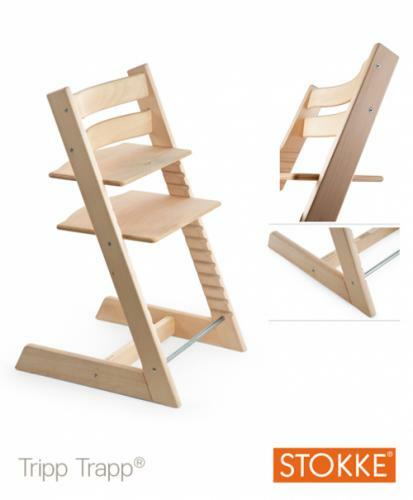 2012 was the 40th anniversary of the Stokke Tripp Trapp, designed in 1972 by Peter Opsvik. 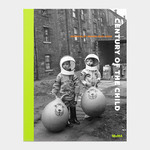 It was also the year the Tripp Trapp was featured in The Century of The Child, MoMA's landmark exhibition of children's design, which I helped pull together, and to which Daddy Types loaned stuff. For the 40th anniversary, Stokke released a beautiful, oiled beechwood version of the Tripp Trapp with matte chrome hardware instead of black steel. With regular reoiling and care, this Tripp Trapp should develop an insanely beautiful patina, and will, after every one of your kids use it, still be ready to pass on to your grandchildren some day. This is the kind of thing you think of when you see the Tripp Trapp, it's that awesome. So. I never actually saw the Anniversary edition for sale anywhere. 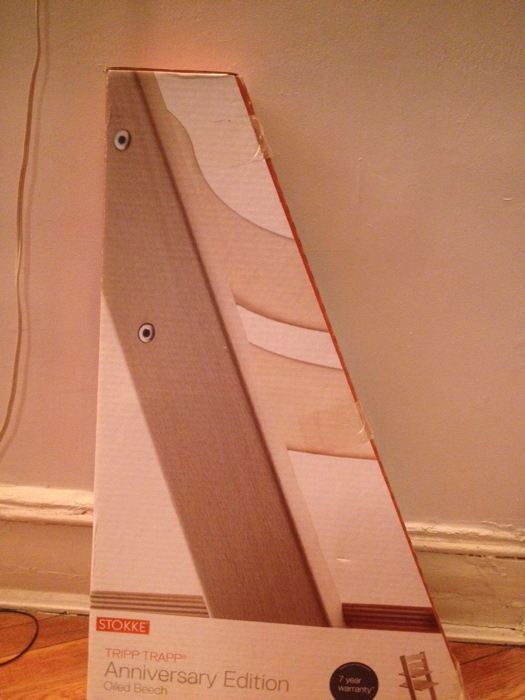 Several months after the MoMA show ended, in mid-2012, the manager of my apartment building pulled this Stokke out of a basement storeroom and said, "Oh, I think this is yours." It had been sent to DT, unannounced, from the fine folks at Stokke USA. Had the MoMA show still been going, I probably would have posted about it, and Opsvik, but it slipped, then we went on the road, the chair went into storage, and it kind of slipped my mind. A couple of times, I'd think, you know, I'll just dig that out and give it to someone for a baby present. But honestly, it's kind of an extravagant gift, and--no offense to any of our friends--I wasn't sure that most new parents would appreciate just how special this chair was. Whenever I thought of just keeping it, and swapping out our similar-but-standard 10yo Tripp Trapp, which we still use all the time, the pangs of guilt would start to swell. We didn't really need it, and I remembered I felt bad for taking a freebie--even an unsolicited one--AND for not even posting about it. So when I cleaned and reorganized our storage space, and put our Christmas ornaments away, and saw the Stokke hanging there behind some boxes, I thought this is the time. And eBay is the place. The chair just went up for auction, and the proceeds will go to the Museum of Modern Art, Bid it up, and if you mention DT when you win it, I'll throw in some other swag, like a daddytype t-shirt or something. Many thanks to Stokke for this awesome high chair, and for many years of high chair awesomeness we've already enjoyed at retail. UPDATE: Sold to a DT reader, for $239 shipped: a collector's item, a good cause, a good home, and a $10 discount!